Whether you are new to the medical field, or are a seasoned veteran, you probably don’t remember life before HIPAA. It’s crazy to think that before 1996, there were no federal laws protecting patient data—nada, zero, zilch. Today, guarding the safety of patient data is more paramount than ever. As technology continues to advance, we, as medical professionals, must advance with it. As a practice manager, it’s up to you to share best practices with your team. From physicians to nurses, everyone should understand and prioritize the importance of securing patient data in electronic health records (EHR). However, staying on top of changing software and industry standards can be a full-time job in itself, so we’re here to help. Ready to dive in? Here are five basic ways your practice can efficiently and securely protect patient information. Arguably the most obvious step here, complying with HIPAA regulations is crucial to protecting patient data. The three main rules are pretty straightforward, but it’s important that everyone on your team understands and implements them. Privacy rule. This protects patient information by making it impossible to disclose without the patient’s consent. Security rule. This law requires electronic patient information to be securely stored and accessed. Enforcement rule. This law states that medical professionals are to be held responsible for the privacy and security of patient information. HIPAA set the industry standard for the security of electronic health records. 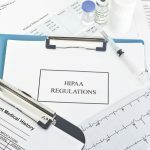 Healthcare providers are required by law to comply with HIPAA rules, making it essential for practice owners, physicians, nurses and other medical personnel to follow them. 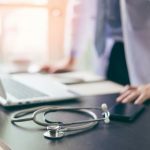 While this probably goes without saying, your whole team should be aware of HIPAA regulations and should be trained on how to effectively comply to them while using EHR. EHR policies and procedures are constantly changing, making it difficult for your team to stay on top of them. By implementing a step-by-step EHR implementation process, you can make it easier for your team to understand evolving best practices. Not only do you want to be sure your physicians are using up-to-date EHR software, but also that the software is properly growing with your practice. There are hundreds of different types of EHR technology, so which one works the best for you? Take a look at the platforms you’re using, or want to use, to see how your current software performs. If it’s not performing to the best of its ability, or your practice is experiencing growth, it may be time to upgrade or switch to a new platform. See how other practices review each software, and make your decision based on what will fit best with your practice and employees. Will the software support future growth, or will you have to seek out a new software later on? Lastly, make sure your EHR software functions within your budget. EHR technology can get expensive, especially as your practice grows. While some practices decide to keep their electronic medical records (EMR) in-house, outsourcing your EMR could save you money and time. Choosing the best EHR software for your practice impacts patient data security in a huge way. If your team isn’t functioning well with EHR, or doesn’t know how to properly operate it, they could run into issues that compromise patient confidentiality. Always be sure your system is working properly for the sake of your team and patients. As technology continues to advance, new EHR tools will begin to develop more frequently. As these tools are added, it will become more difficult for your practice to stay compliant, especially if you are not aware of these devices as they surface. Establish protocols. For each level of staff, establish different protocols for viewing delicate patient data on your EHR software. For example, your practice’s lead physicians should have more access to patient medical information than medical assistants. Doing this keeps patient data between those who truly need to examine it, rather than granting access to anyone who wants to see it. Create separate logins. Additionally, every person allowed on the devices should have their own password, logins, etc. While this is a great way to protect patient data, it also protects the integrity of your employees. Granting access to employees through separate logins will improve the function of your EHR software and your practice. Sometimes staying on top of ever-changing rules, regulations and software is too much to handle on top of everything else that comes with managing a practice—and that’s okay. When this happens, choosing to outsource your EHR might be your saving grace. We understand the issues your practice faces, and we want to help—especially when it comes to effectively outsourcing patient data. Outsourcing your EHR will not only optimize teamwork, but also facilitate practice functionality and effective team communication. At DataMatrix Medical, we hold ourselves to the highest standard in medical transcription. Through effective medical transcription, we can help your practice maximize efforts, while saving time and money. We can help give your physicians the time they need to get to know your patients. What’s even more, we’ll stay on top of the latest EHR documentation best practices so you won’t have to. We are a company that will grow with your practice, not hinder it. If you’re ready to commit to a truly reliable partnership, so are we. You can even start with a free two week trial, just so we can show you the DataMatrix difference. 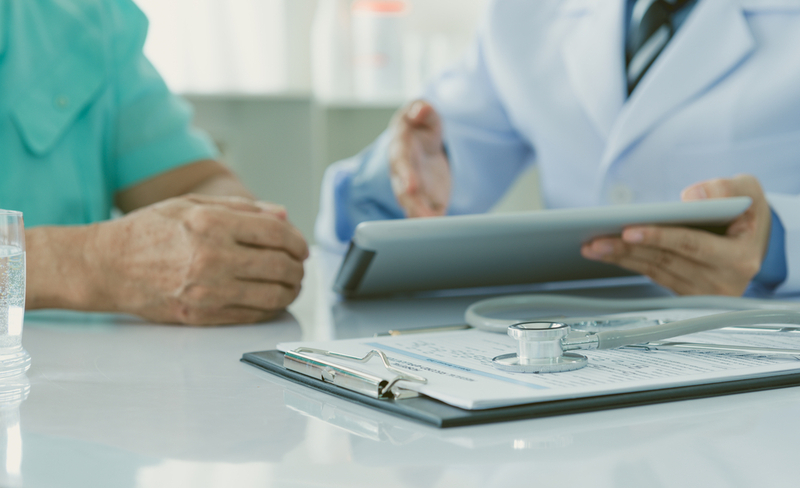 As an already-busy medical practice, your physicians don’t have time to worry about the tedious input and editing involved with proper patient documentation. Take the opportunity to learn more about how medical transcription can improve the productivity of your practice by downloading our How To Optimize Clinical Productivity Through Outsourcing guidebook.